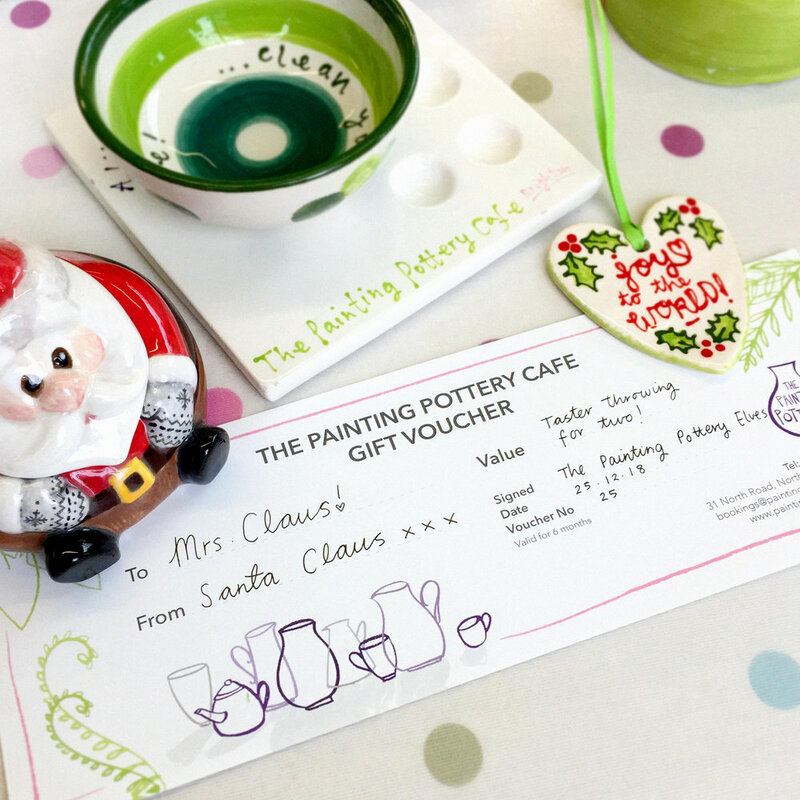 Whether it's to have a go on the potters wheel at our taster throwing, to build something fabulous in one of our evening classes, or to paint some beautiful pottery from our wide selection, vouchers are the perfect gift for any age. Pop in to the shop before 5:30pm on Sunday 23rd December to buy yours, or if you need it posted, call us before 6pm on Wednesday 19th December to ensure it will get there in time! Merry Christmas! Merry Christmas and a very Happy New Year! Gift Vouchers are available to purchase from the shop and are valid for 6 months.Â Voucher prizes from competitions and raffles are also valid 6 for months.